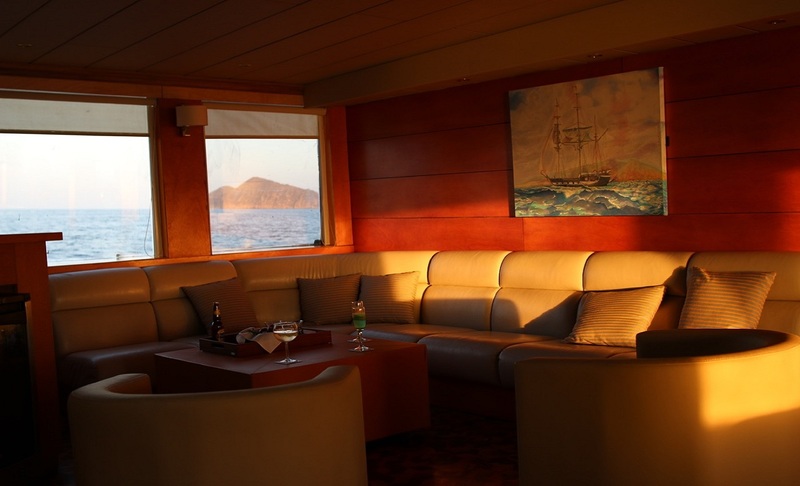 The M/C Millennium is an elegant and comfortable catamaran in the Galapagos while providing the highest standards of security. The ample spaces in cabins, living rooms and bathrooms fit the elegance and comfort required by high standard passengers. 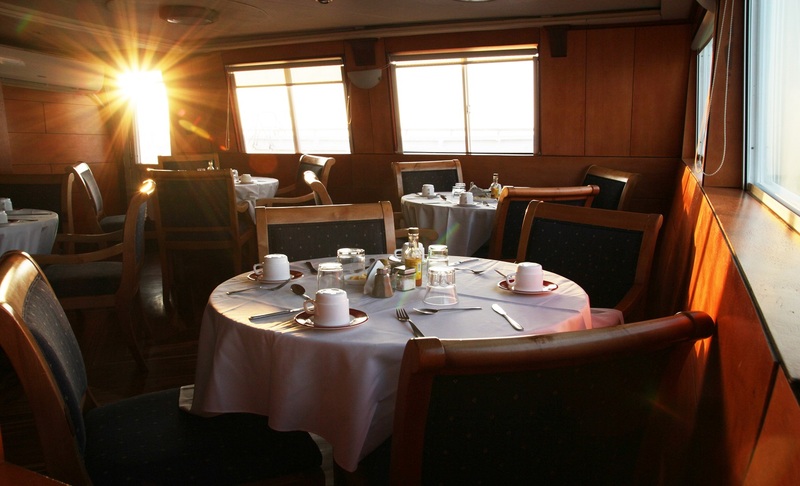 The atmosphere of a small group of 16 passengers, combined with the features of a big vessel, make the voyage on the M/C Millennium an unforgettable journey! Upon arrival to San Cristobal Airport, you will be met by our representative and transferred to the M/C Millenium. 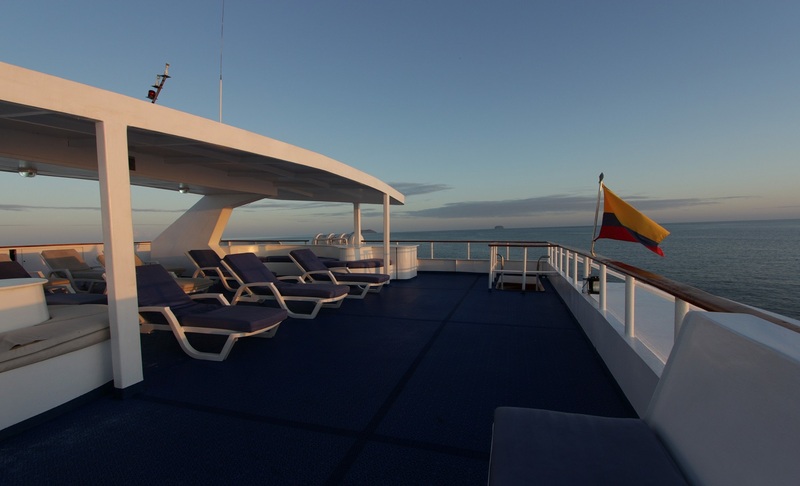 Take your time to explore the vessel as we begin sailing to our first stop. In the afternoon you reach Lobos Island. This islet near Playa Ochoa, on San Cristóbal Island, is home to blue-footed boobies and frigate birds that nest between the salt bushes. 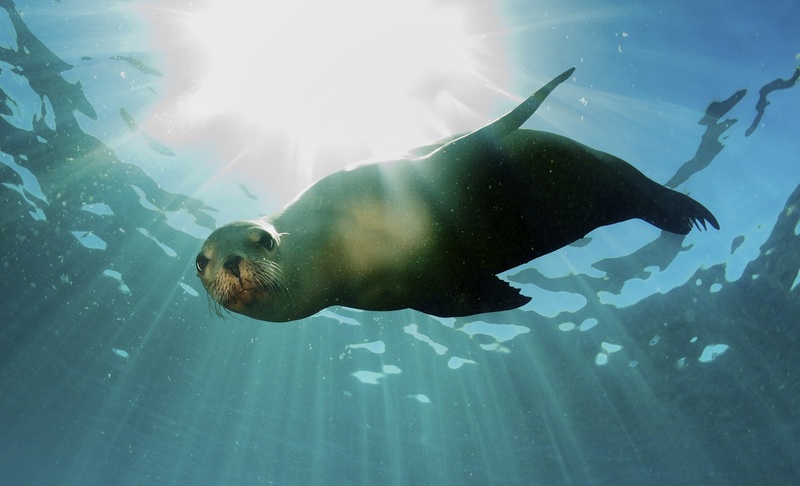 Also, sea lions can be found again. It is also a good place for saguaro cacti. At dawn you reach the northeastern tip of San Cristóbal, Punta Pitt. The path leads through colonies of frigate birds, swallow-tailed gulls, Nazca, red and blue-footed boobies. Punta Pitt is the only place in the Galápagos where the three booby species are found together. 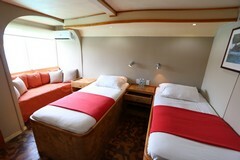 In the afternoon, we will have a walk from the beach up to the high country, into the field of a "Natural Galapaguera". For this distance it takes about three and a half hours (there and back). In the absence of shade trees, it can be quite hot in the warmer seasons. 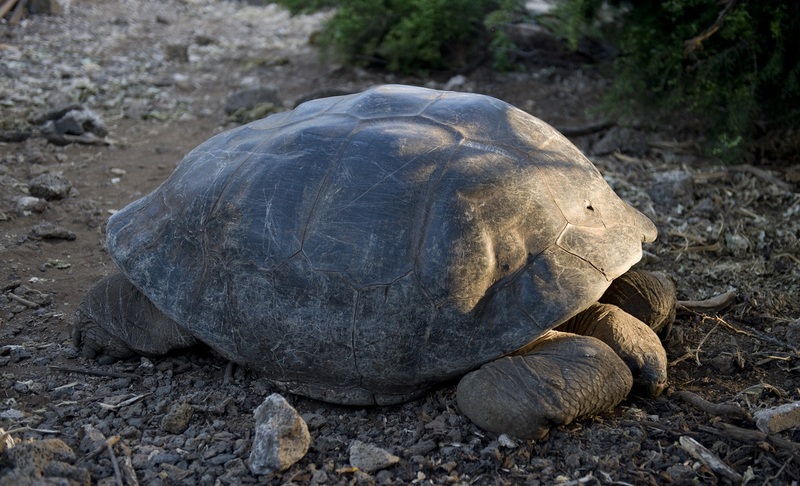 But you will be rewarded with the fact that you can meet the famous Galapagos giant tortoises in their natural environment along this route. The huge animals are up to 200 years old and can weigh up to 300 kg. In the morning you arrive at Cerro Brujo on the west coast of the island of San Cristóbal. In this fascinating crater there are boobies, gulls and some pelicans. In the sheltered bay young sea turtles and stingrays live - a beautiful place for swimming and snorkeling. 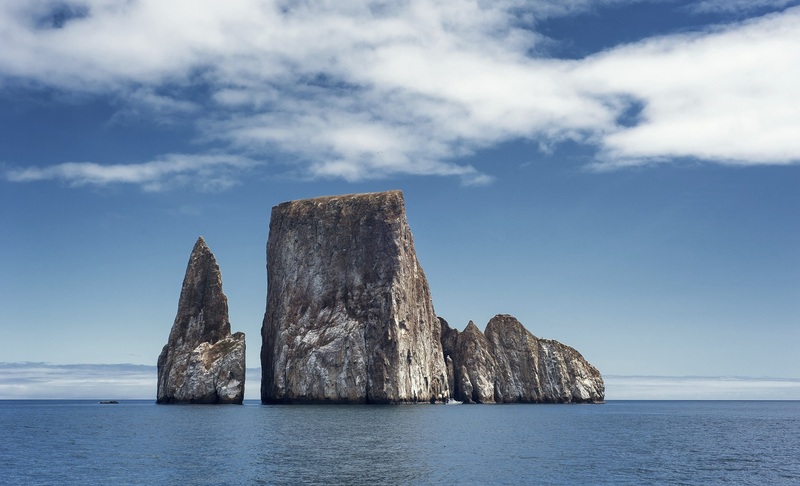 After lunch, drive along the coast to the fragmented tuff León Dormido (Kicker Rock), which serves as nesting place for seabirds. Look out for blue-footed boobies, pelicans and frigate birds. In the morning you will explore Punta Suarez, one of the highlights of the Archipelago, as it features a long list of species found along the cliffs or the beaches. 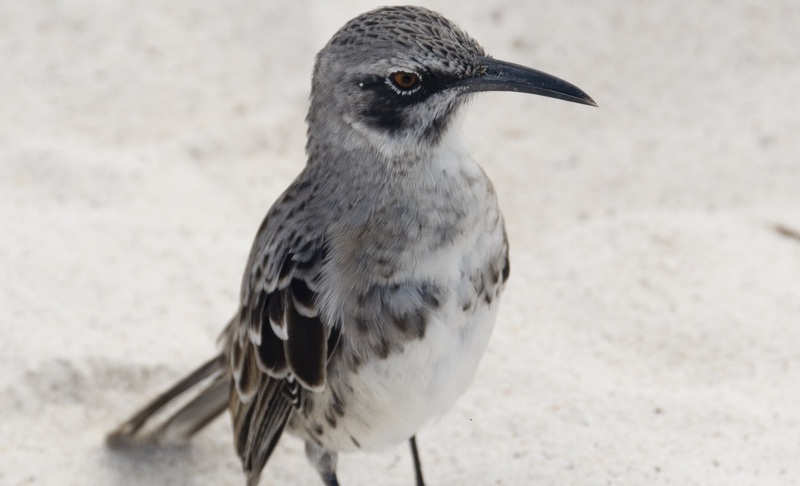 This place, besides being home to five different marine species, is home to curious and bold Galapagos mockingbirds, doves and hawks. It is also the only place where we can see red iguanas. From May to December you may see albatross nests on the island and their newborns. You can also see various kinds of reptiles, including the marine iguana and lava lizard, they are unique to this island. When the waves are strong in Punta Suarez, the hit of water against the rocks generates thunderous jets that reach 30 meters. We will walk through a stone path about 2 kilometers, that lasts 3 hours. 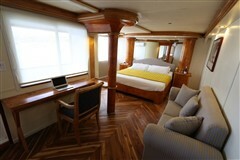 In the afternoon you will be in Gardner Bay. 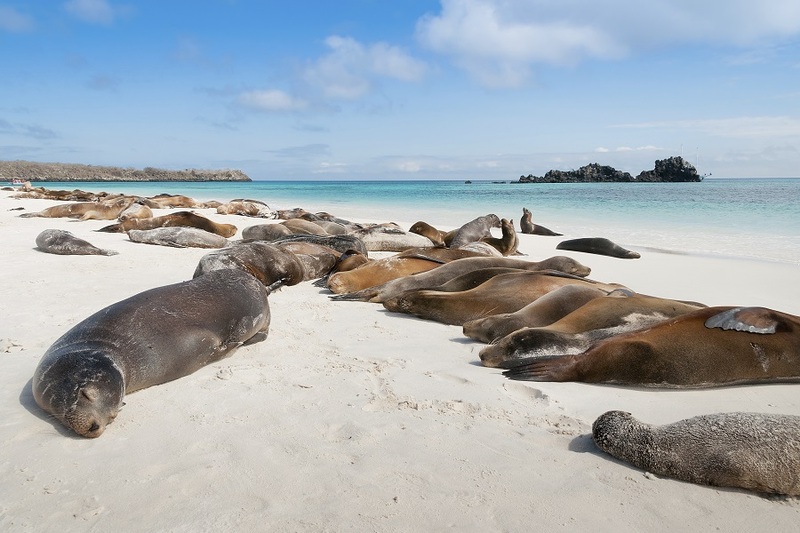 The two-kilometer long white sand beach is one of the most beautiful bays in Galapagos. 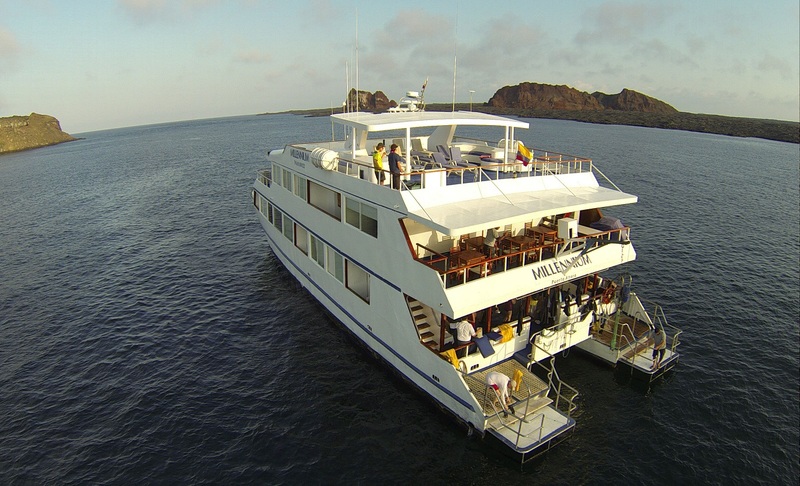 Sea lions lazing in the sun and Española mockingbirds welcome the visitors, often to keep close to Galapagos hawks. In addition, marine iguanas sit down at the end of the beach and the bright red crabs walk over the rocks. This place offer wonderful snorkeling sites. In the morning, we take a stroll to Punta Cormorant. After a wet landing on the beach, we go down 100 meters along a path that leads to a mangrove lagoon. 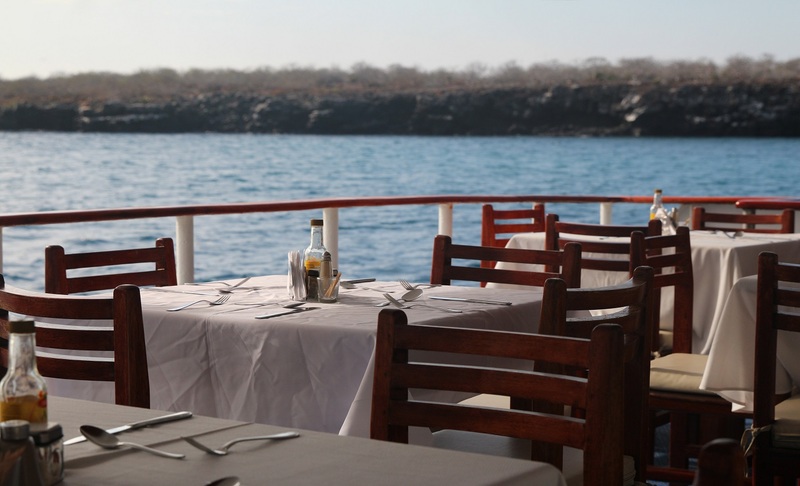 This lagoon houses Galapagos ducks, black storks, gold sandpipers and oystercatchers. 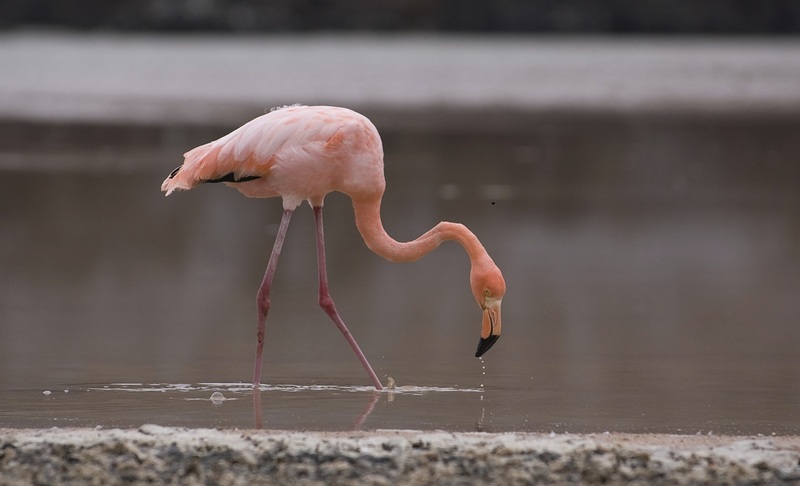 Hopefully we can also see flamingos. Another trail leads to a small beach, which is an important nesting site, from December to March of Pacifc sea turtles. Rays are often in shallow water and sometimes reef sharks white tip too. Then, we visit the Post Office Bay, which keeps the legendary post barrel that, historically, the whalers used to send their mail. If you want, you can leave a letter here, hoping that reaches its destination by another tourist. Do not forget to bring postcards. 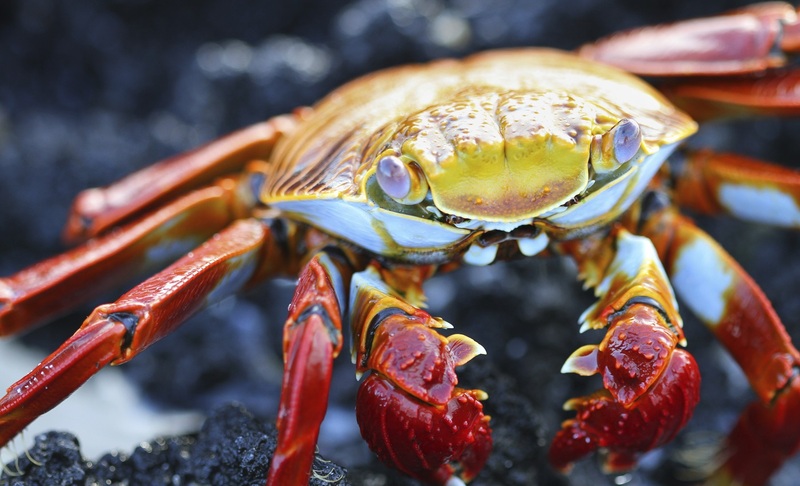 Although Santa Cruz was colonized in 1926 as the last island, it is now home to about half of the Galapagos residents and is the central location for the Archipelago. There resides the Charles Darwin Research Station; annually up to a hundred scientists from around the world are working on there in nature conservation and environmental education, playing an important role. 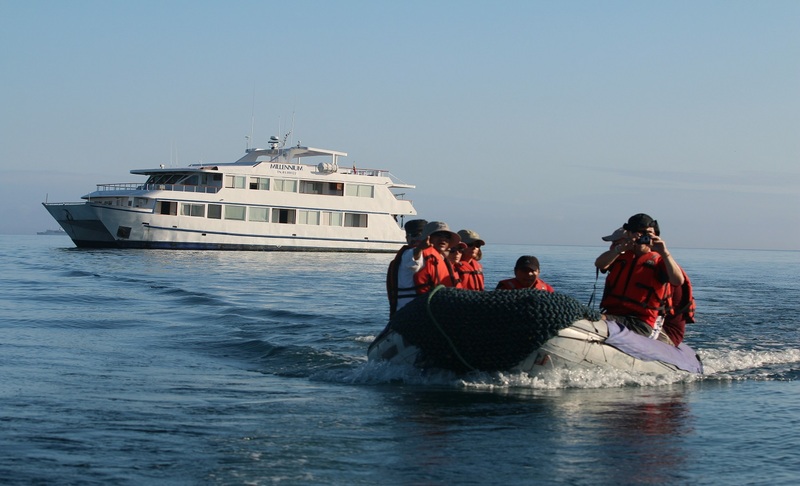 Therefore, a visit to the information center and the outdoor area with its turtles and iguanas enclosures has almost a must for every Galápagos stay. Around midday you will fly from Baltra Airport back to mainland, to Guayaquil or Quito.